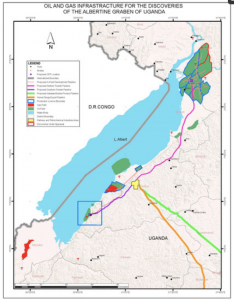 We consider the different types of rent-seeking practices in emerging oil economies, and discuss how they contribute to social conflict and a local resource curse in the Albertine Graben region of Uganda. The rent-seeking activities have contributed to speculative behavior, competition for limited social services, land grabbing, land scarcity, land fragmentation, food insecurity, corruption, and ethnic polarization. Local people have interpreted the experience of the consequent social impacts as a local resource curse. The impacts have led to social conflicts among the affected communities. Our research used a range of methods, including 40 in-depth interviews, focus group discussions, participant observation, and document analysis. We argue there is an urgent need by all stakeholders—including local and central governments, oil companies, local communities, and civil society organizations—to address the challenges before the construction of oil infrastructure. Stakeholders must work hard to create the conditions that are needed to avoid the resource curse; otherwise, Uganda could end up suffering from the Dutch Disease and Nigerian Disease, as has befallen other African countries.